DNA Imagery has released the first paid version of its popular iOS app Photo Candy, and updated the free version. 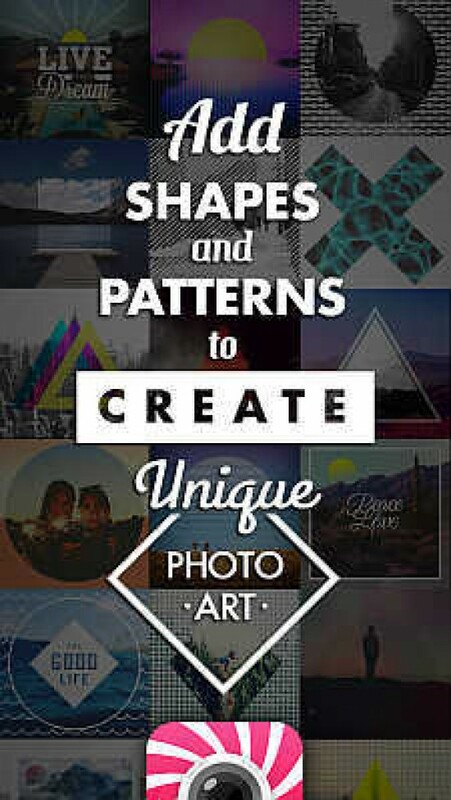 Photo Candy Pro gives access to over 250 patterns and shapes (with more to come) from various designers as well as seasonal packs on the pro version, 4 additional unlocked packs, 16 additional presets and photo editing features (including contract, exposure, brightness and more). Photo Candy Pro is available for purchase on the iTunes store for only $1.99. (Santa Barbara, CA) -- 3/29/2014 DNA Imagery releases first paid version of popular iOS Photo App ‘Photo Candy’, titled ‘Photo Candy Pro’ and updates the free version, providing even more choices for photo customization in the hands of their users. With over 500,000+ downloads since the start of their launch 7 months ago, design firm ‘DNA Imagery’ isn’t sitting still when it comes to providing users with popular iOS photo apps. Likewise, their new application Photo Candy Pro has hit the app market and expands upon the initial idea of giving the user full control of customizing their photo with patterns and shapes. Whereas, most photo editing apps are seen as linear where you apply a sticker or crop, Photo Candy Pro gives you the ability to resize, move, and adjust every pattern or shape you apply. The filters can even be customized as you blend colors with them at various opacities and then saved as presets for later use. All of these features and more give the user the flexibility to truly create to their hearts desires. Each app gives users full customization options by adding patterns and shapes to their photos to turn them into what the company calls “digital art pieces." Unlike other photo editing apps that restrict a uses ability to customize their photos, DNA leaves all of those choices in the hands of their users. The app provides dual customization of colors, filters and background for the designs, allowing users to take ordinary photos and turn them into their very own works of art. There are some key differences from the free Photo Candy and Photo Candy Pro, including accessibility to over 250+ patterns and shapes (with more to come) from various designers as well as seasonal packs on the pro version, 4 additional unlocked packs, 16 additional presets and photo editing features (including contract, exposure, brightness and more). Plus, there are no in app purchases for the free version, the company only suggests that users upgrade to the pro version if they want access to all of Photo Candy’s features. The Creative Director, Derren Ohanian of DNA Imagery provides an exclusive new comment about the free version's update, as well as the release of the new pro version stating, "DNA is aiming to make creative products for creative people. The Photo Candy app allow users to create digital art in mere seconds while still providing users advanced features to create intricate designs." Photo Candy Pro is the latest photo app for iPhone and iPad and is available for purchase on the iTunes store for only $1.99. Released on Mar 23, 2014, the application requires the use of iOS 5.1 or later. Founded in 2006, DNA Imagery is located in Santa Barbara and is the design firm behind the creation of Photo Candy for iOS. They work exclusively with clients both big and small that are seeking custom design solutions. Their team specializes in photography, video production, graphic design, web design, app development, and social media marketing. For media inquiries regarding Photo Candy Pro, individuals are encouraged to contact Creative Director, Derren Ohanian directly at 805-680-0038 or via email at dna@dnaimagery.com. To learn more about the company behind the latest iOS app, please visit: www.dnaimagery.com.